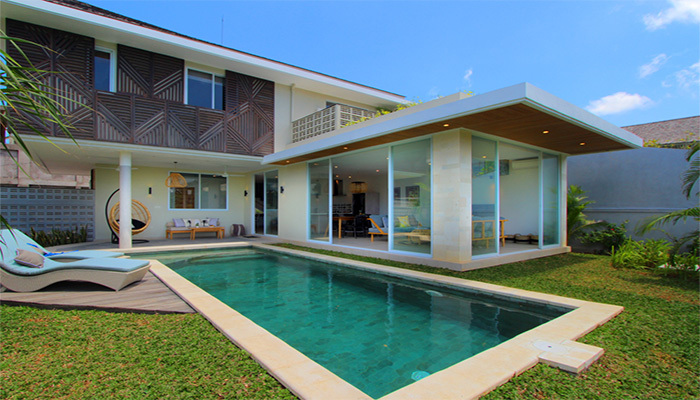 This beautiful two-storey villa for sale is located in Umalas, the most sought-after area in Bali for tranquility. Built on 600 sqm land, you will be spell-bound by the large square-form swimming pool with its wooden sun deck surrounded by the garden and natural forest at the back of the house. 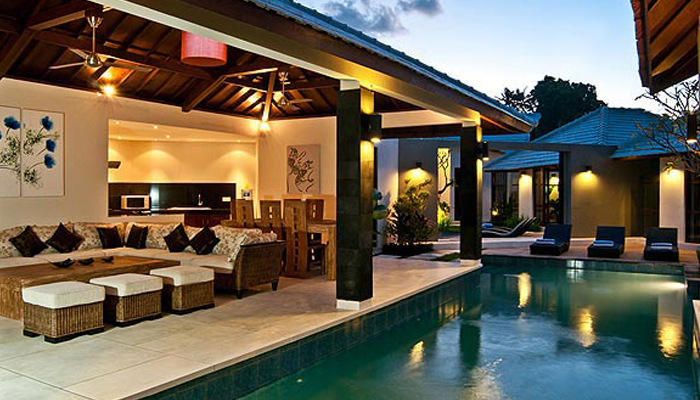 An open-sided kitchen along with the living area and dining corner are created for the ones who like enjoying the tropical atmosphere of Bali. 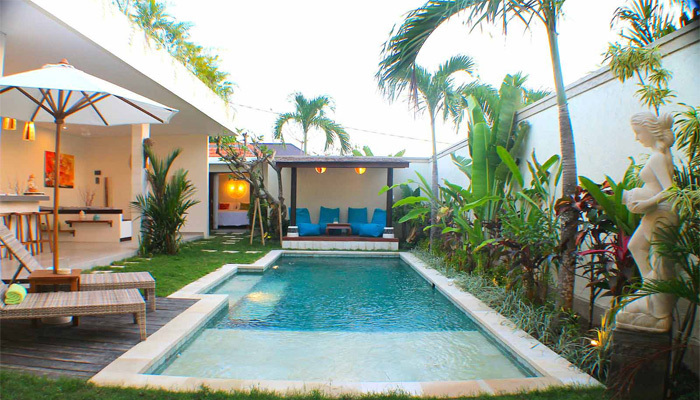 Two bedrooms are located on the ground floor while the master bedroom is on the second floor, having the view of the swimming pool and the garden. All bedrooms are furnished and air-conditioned. Do not miss the rustic wooden 1 bedroom bungalow on the other corner of the house, ideal for couples who crave for more intimacy. Only 2 minutes drive from numerous restaurants; Tiflis, Monsieur Spoon, Nook, Habitual etc. Seminyak & Canggu Club are in 5 minutes drive.